A man and his family are caught in the middle of a violent coup in this gripping thriller. 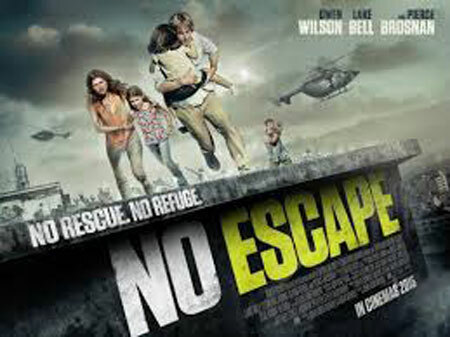 Jack Dwyer (Owen Wilson) has relocated his family to Asia with the hope of starting a new life. However, not long after they arrive a military coup ensues. With violence and chaos erupting all around them, Jack and his wife Annie (Lake Bell) must try and stay alive, whilst ensuring the protection of their two young daughters. Even so, they may have found an unlikely ally in the form of grizzled stranger Hammond (Pierce Brosnan). Best known for his comic performances, Owen Wilson here sheds that image to play a family man dedicated to protecting his loved ones. The excellent supporting cast includes Bell, recently seen in rom-com Man Up, and former 007 Brosnan. Behind the camera is John Erick Dowdle, director of hit 2014 horror As Above So Below.